Introduction: Welcome to the Web site of Yorktowne Cabinetry. This page outlines the terms and conditions (“Terms and Conditions”) relating to your use of the www.yorktownecabinetry.com Web site (the “Site”). By accessing and browsing the Site you accept and agree to be bound by the Terms and Conditions set forth herein. Yorktowne Cabinetry reserves the right to change, add, delete, or modify any of the Terms and Conditions without notice. Please carefully read these Terms and Conditions before using this Site and periodically review this page to review the then current Terms and Conditions to which you are bound. Intellectual Property: All intellectual property appearing on the Site, including, but not limited to, all trademarks, service marks, trade names, trade dress, copyrights, images, illustrations, graphics, logos, text and layout and design of this Site is owned or licensed by Yorktowne Cabinetry. Nothing contained on this Site shall be deemed as granting by implication, estoppel or otherwise, any license or right to use the intellectual property of Yorktowne Cabinetry displayed on this Site without the written permission of Yorktowne Cabinetry. Use of this Site: Unless otherwise specified in this Site, you may not copy, reproduce, republish, download, upload, post, transmit, or distribute materials displayed on this Site for public or commercial purposes without the written permission of Yorktowne Cabinetry. You may, however, download one copy of material displayed on this Site to any single computer or print out a single copy of the materials on this Site for your personal, non-commercial use provided that all copyright, trademark or other notices appear thereon and provided that the Materials are not modified. Any modification of the Materials or unauthorized use for any other purpose constitutes an infringement of Yorktowne’s copyright, trademark, and other proprietary rights. Disclaimer/Limitation of Liability: THE INFORMATION PROVIDED IN THIS SITE IS PROVIDED “AS IS” WITHOUT ANY WARRANTIES OF ANY KIND, EITHER EXPRESSED OR IMPLIED, INCLUDING WITHOUT LIMITATION, THE WARRANTIES OF MERCHANTABILITY, FITNESS FOR A PARTICULAR PURPOSE OR NON-INFRIGEMENT. NEITHER YORKTOWNE CABINETRY NOR ITS AFFILIATES SHALL HAVE ANY RESPONSIBILITY FOR ERRORS OR OMISSIONS IN THIS SITE. NEITHER YORKTOWNE CABINETRY, ITS AFFILIATES OR ANY OTHER PARTY INVOLVED IN CREATING, PRODUCING, OR DELIVERING THE SITE IS LIABLE FOR ANY DIRECT, INDIRECT, INCIDENTAL, CONSEQUENTIAL OR PUNITIVE DAMAGES ARISING OUT OF YOUR ACCESS TO OR USE OF THE SITE, INCLUDING, BUT NOT LIMITED TO, ANY DAMAGE TO, OR VIRUSES THAT MAY INFECT, YOUR COMPUTER EQUIPMENT ON ACCOUNT OF YOUR ACCESS TO, OR USE OF THE SITE OR YOUR DOWNLOADING OF ANY MATERIALS EVEN IF WE HAVE BEEN ADVISED OF THE POSSIBILITY OF SUCH DAMAGE. YOU ALONE ASSUME THE ENTIRE COST OF ALL NECESSARY SERVICING, REPAIR OR CORRECTION. Submission of Information: Yorktowne Cabinetry welcomes your feedback regarding the quality of our products. However, Yorktowne Cabinetry does not want to receive any confidential or proprietary information from you through this Site. Any information submitted will be deemed NOT to be confidential or proprietary. Anything you submit may be used by Yorktowne Cabinetry or its affiliates for any purpose. Furthermore, although we ask that you do not send us such unsolicited information, Yorktowne Cabinetry is free to use any ideas, concepts, know-how, inventions or techniques contained in any communication you send to the Site for any purpose whatsoever, including but not limited to, developing manufacturing, and marketing products through the use of such information. Links to Other Sites: Yorktowne Cabinetry may provide links to other internet sites for your convenience. Yorktowne Cabinetry is not responsible for the contents of any such sites. 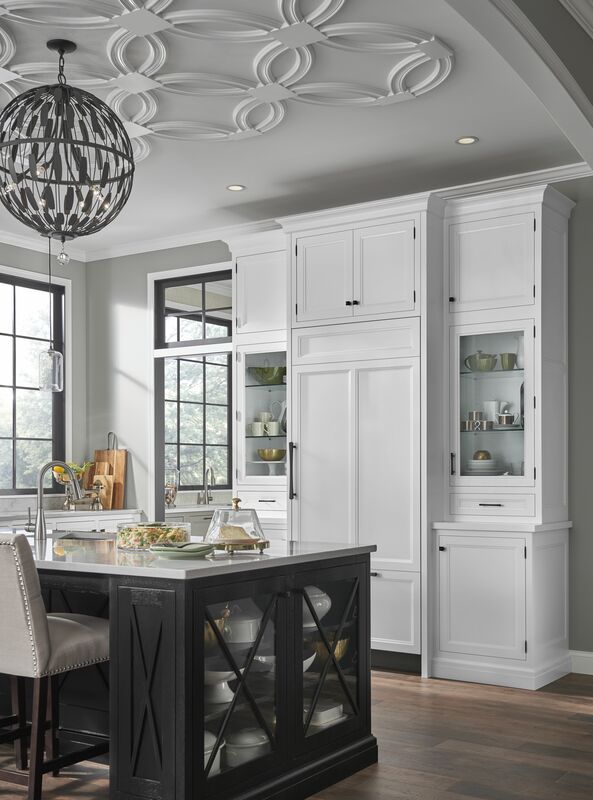 You acknowledge that when you click on a link that leaves an Yorktowne Cabinetry Site, the site you are entering is beyond the control of Yorktowne Cabinetry. If you decide to access any of the sites linked to this Site you do so entirely at your own risk.